The smell of fresh methi Saag or Fenugreek Leaves is really too good. Purchased some fresh Methi saag last week but didn’t get time to cook them. Today I prepared some ALOO METHI, I heard about the dish ALOO METHI from one of my Punjabi friend, but never prepared this ever. 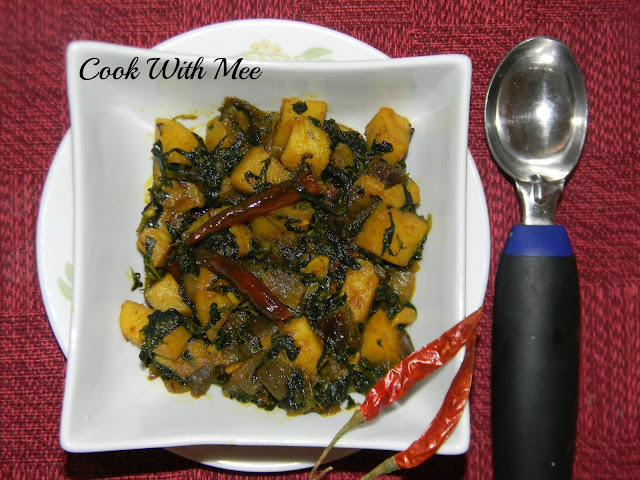 So finally I prepared the truly heavenly ALOO METHI. After having the dish I thought why I didn't prepared this before. 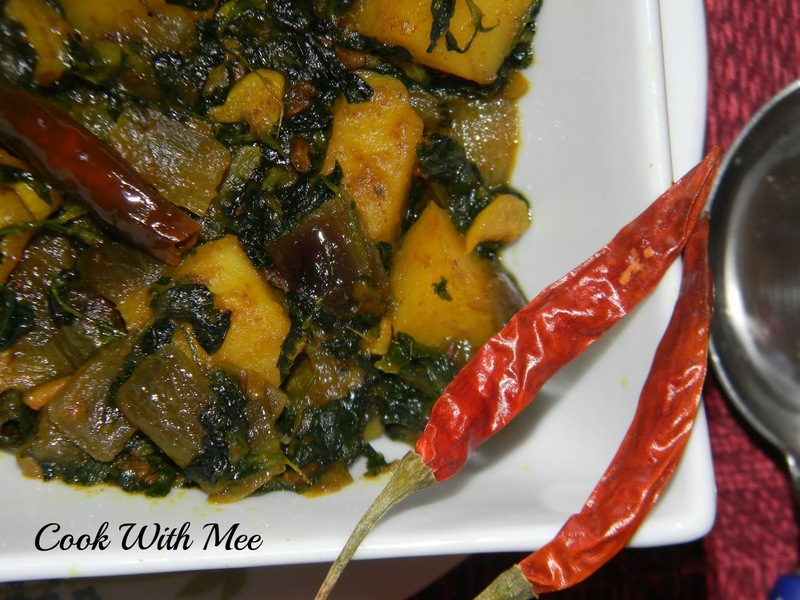 ALOO METHI is an authentic Punjabi dish, made with lots of fresh methi saag and potato with very less no of spices. With Roti and Rice this one is really too good. Meethi saag is a leafy vegetable. 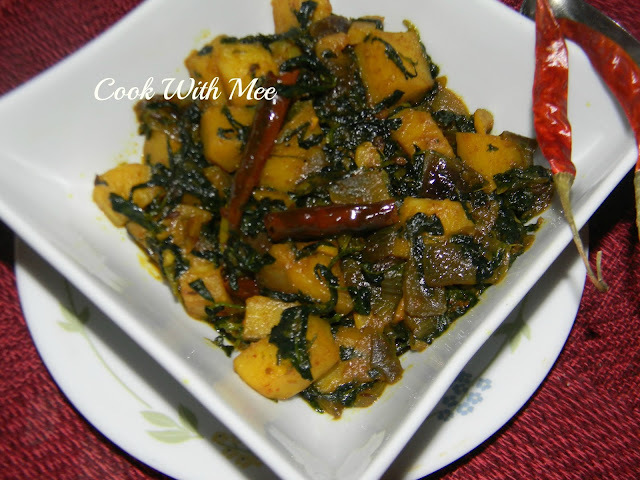 There are lots of recipe which made with Meethi leaves. 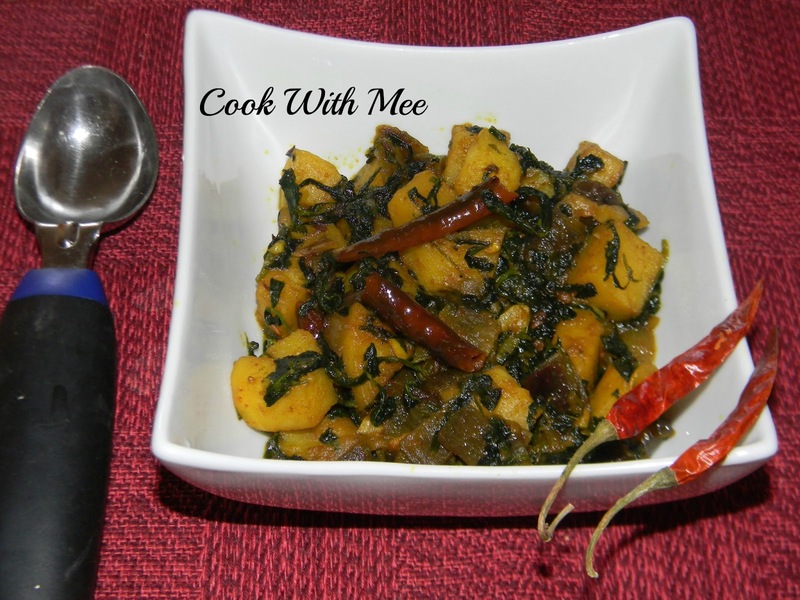 ALOO METHI is really a healthy and tasty preparation. 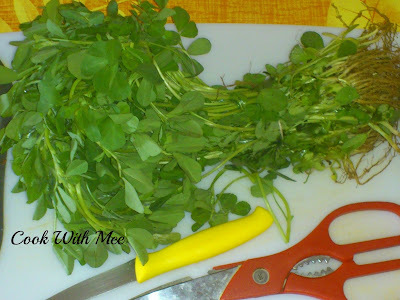 1.One bunch of fresh Meethi Saag or fenugreek Leaves. 2.One large potato (cut into small cube size). 6.Turmeric Powder, Red chili Powder, Cumin Powder (half tea spoon of each item). 7.A pinch of chaat masala. 8.Salt nad sugar as per taste. Finely chopped the methi leaves (remove the roots ). Now add oil in vessel and add the cumin seeds, fenugreek seeds nad dry red chili. When its start crackle add the chopped onions and grated garlic. Fry till the onions are transparent, now add the chopped methi leaves and all the spices with some salt and sugar. Combine well and fry for 2 mints. Now add the potato pieces and mix well with everything and fry for another 3 to 4 mints. Now add some warm water and cook with a lid till the potatoes are boiled and the water evaporates. (don’t overcook the potatoes). Your ALOO METHI is ready serve hot with ROTI OR RICE.